This Biohort Leisuretime 130 storage box is manufactured from high tensile, 0.5mm hot-dipped galvanised Polyamide coated steel throughout. 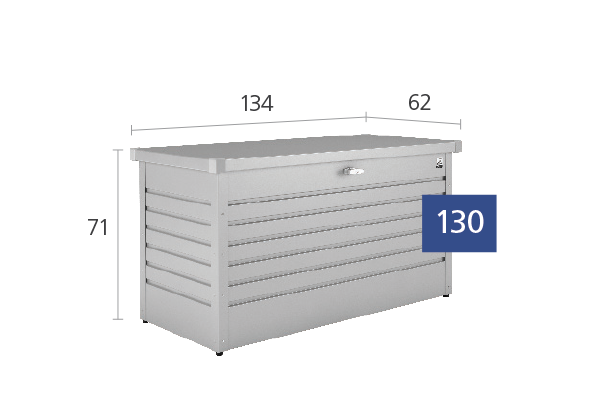 It is an easy to build heavy duty metal storage solution which combines style, security and value. For extra peace of mind this storage box comes with a 20 year manufacturers non perforation warranty. You will be contacted and notified should there be any delay in delivering within the quoted period. Please note: Deliveries to Highlands and UK Isles are subject to additional charges and we ask that you contact us prior to ordering. Click the button below to add the Biohort Heavy Duty Leisure Time Box Dark Grey 130 to your wish list.